At Botany Bay there are a number of places to visit, not only for its historical interest (Captain Cook had landed here) but for its natural beauty at Kamay National Park. Beaches line the shore, including Ramsgate and Brighton le Sands. Other beaches include Yarra Bay Beach and more isolated, yet scenic beaches, within the Kamay Botany Bay National Park, such as Towra Beach. 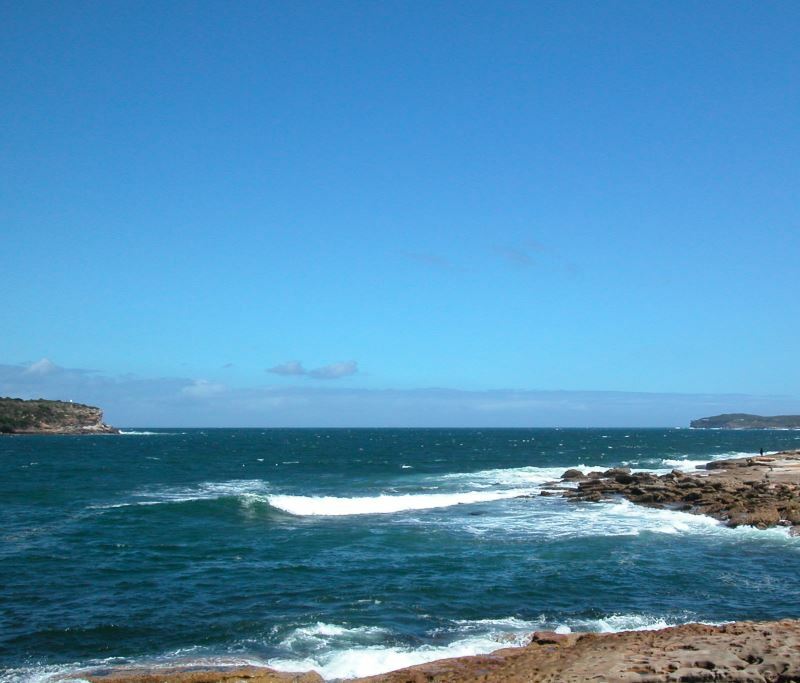 This historical National Park is where Captain Cook had landed and the First Fleet with its soldier guards and convict prisoners from England had hoped to settle here. After spending a few days here, collecting flora samples and looking for water, they left to go to what was to be called Port Jackson (A.K.A. Sydney Harbour) just further north. The park protects what remains of the wildlife and plants that remain here, as well as the historical points of significance, such as Captain Cook’s Memorial and the Bare Island Fort. There are some great walks here that take you to various points within the park. There is a lot of scenery to see here, as well, with a bit of luck, you may spot dolphin pods or even whales, as they traverse to their breeding grounds in the north or their feeding grounds in the south. It was originally planned that the First Fleet convicts and their guards were to settle at Botany Bay. Upon arrival it was found there was no easy access to fresh water at Botany Bay, while Port Jackson (Sydney Harbour) just to the north, had plenty. Botany Bay was useful as a port, the fort at Bare Island was built to protect Sydney and the port from attack. The fort was built in five years and completed in 1885, work inside the fort did not begin till 1889. Poor construction materials used in the building of the fort and its many tunnels caused parts of it to crumble even before the complex was finished. Guns were installed, but outdated soon thereafter and it was decommissioned as a fort by 1902. Map showing Botany Bay and the Cronulla Beaches Greater Sydney Map. Sydney hotels in the city and surrounding suburbs including Bondi Beach - luxury international hotels to beachside apartments, hostels and bed & breakfasts.